He’s been hailed as Prime Minister Dr Keith Rowley’s right-hand man. Some have even jokingly described him as the Minister of Everything. 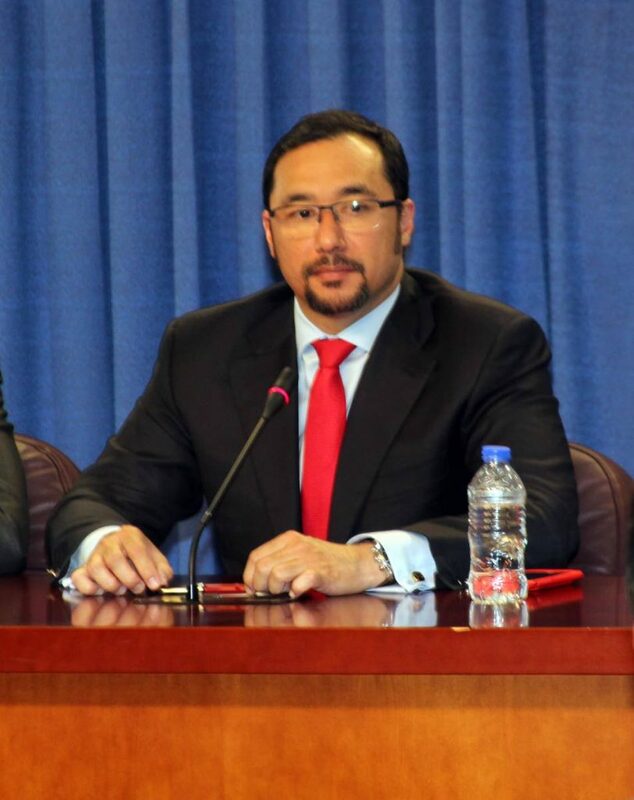 Regardless of the perception, there’s no denying that Stuart Young is an emerging force within the People's National Movement (PNM). One week ago, Young assumed the unenviable portfolio of Minister of National Security, replacing retired Brigadier Edmund Dillon, who had held the position since the PNM won the September 2015 general election. His new role came on the heels of the appointment of Gary Griffith as Police Commissioner, prompting some to suggest that the move may have been strategic. 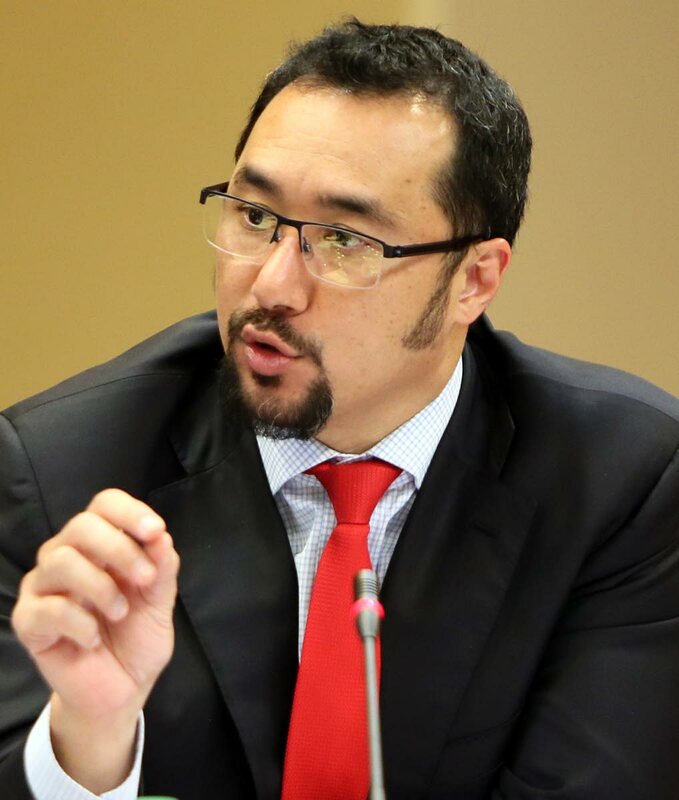 Apart from his new position, Young, 43, also retains the portfolios of Minister in the Office of the Prime Minister and Minister of Communications. The announcement of his appointment came in a statement from the Office of the Prime Minister around 12.22 am on August 6. Young has already hit the ground running, telling reporters at the post-Cabinet news conference on Thursday he was expected to receive a report on the security landscape from senior officers in the protective services. However, he declined to divulge any details about his plan for the ministry, saying the report would be able to inform future strategies in the fight against crime. Young said, though, that changes were needed in the ministry, adding he intends to bring technology into greater use in tackling the scourge. Constituents described Young as a hard worker and expressed confidence in his ability to perform in his new role as national security minister. Is Young the super minister in the Rowley administration? Former PNM general secretary Ashton Ford stopped short of predicting a top position for Young in the PNM’s future but said the party has a long history of acknowledging its stand-outs. “All prime ministers always have someone who they will have confidence in,” he told Sunday Newsday. Ford, who is now the CEPEP chairman, said the trend has continued in the Rowley-led PNM. He said party members can end up in any position. “There are people with different roles and as the situation evolves, changes will take place. Describing Young’s most recent appointment as a welcome move, Ford said: “Young has been identified as one of the persons in the party and in the Government who gets things done. He predicted Young’s collaboration with Griffith was likely to yield positive results. First entering the Parliament as a temporary Opposition senator, Young was selected as the candidate for Port of Spain North/St Ann’s West in the run up to the 2015 general election. An attorney who has worked on several high-profile matters, including the Piarco commission of enquiry, Young won the seat overwhelmingly and was made Minister in the Ministry of the Attorney General and Legal Affairs. The St Mary’s College alumnus was then appointed Minister in the Office of the Prime Minister and later, Communications Minister. But even before he was officially handed the communications portfolio, Young frequently hosted the weekly post-Cabinet news briefings, often speaking with authority on topics outside of his portfolios. Young accompanied Rowley on almost all of the Prime Minister’s international business trips and also has acted for several ministers over the past three years. Chairman of the PNM Tobago Council Stanford Callender told Sunday Newsday he had always regarded Young as an “emerging light” in the PNM. “I see him as a young, articulate man with a capacity for hard work,” he said. The former Tobago West MP dismissed the view that Young was overburdened with his various ministerial portfolios. “From the experience I have had in life, once you have a plan and you are a good manager of time, you could do numerous things. Political analyst Dr Bishnu Ragoonath said while Young does appear to carry much weight in the Government, he was unsure as to the extent of his influence. “There are two factors playing out here. On the one side, you have the Prime Minister having confidence in Mr Young and that will continue for as long as the Prime Minister has confidence in him. And, in that regard he can be seen as rising star,” he said. Ragoonath said a lot may be dependent on whether Young would seek to retain his position as the party’s public relations officer in the September 16 internal election. * Proficient in commercial, banking and insurance law. Reply to "Young, moving on up"